DJ Delights is a big fan of wedding flowers, because they are simply beautiful, and weddings deserve to be beautiful. But the question above is spot-on. Maybe you don’t need flower arrangements on EVERY table, especially if you go with DJ Delights for the wedding entertainment. 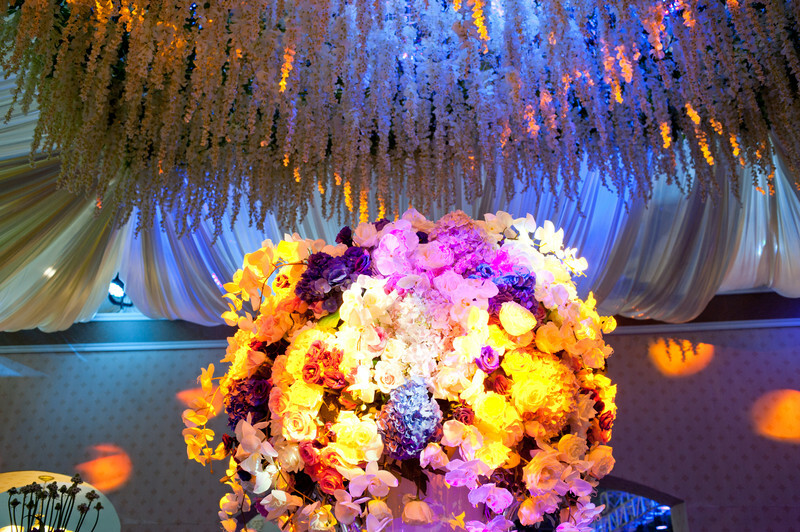 In addition to dance-floor-packing entertainment, we offer exquisite decor lighting. In fact, we can transform even a low-budget venue into a palace with creative lighting. Learn more without obligation. We love questions. Call today with yours and tell us a little about your upcoming wedding celebration: 1-800-331-3341.